There is often an argument that after European games, teams tend to struggle to get the three points in their next game. 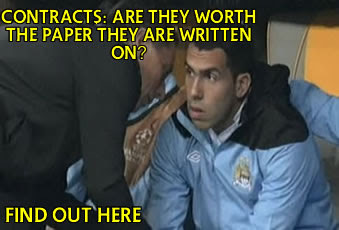 Some argue that it’s due to the lack of preparation time, or the lack of quality in depth or even the lack of fitness. I myself have always thought that it was something along those lines too. Now, of course, there needs to be a degree of rationality and a consideration of the wider perspective. Think about it, often teams can play poorly, yet still walk away with a win. So there is an argument that when people say a team isn’t as efficient or effective after a European game, they could mean in terms of performances, not the result. However, I wanted to see how each side that represented the Premier League in Europe this season faired in comparison to each other. However, before I point out my observations, we have to consider a few things. Firstly, we have to recognise some teams played more games after a European game, due to their progress in Europe. In order to combat this, I have added the points per game stat. · Business as usual for Manchester United: After European games, Man United have been machine efficient. United won 7 of their 8 post European games which clearly demonstrates this. Perhaps Sir Alex Ferguson’s effective rotation and strength in depth played a key role in Man United’s consistency. · Arsenal unbeaten after European games: Both Arsenal and Man United are unbeaten after their European games. But considering this from Arsenal’s perspective, it shows how difficult they are to beat. Their experience and knowhow through many years of having to manage the Champions League and the Premier League is one of the reasons why they remained unbeaten. · Man City distinctly average after European games: Man City’s record is pretty average, to be fair. Although they only lost once and conceded the least out of the teams analysed (5), I think they should have done better. But Man City will argue, they had tough games after their Champions League duties, after all, they faced Liverpool away, then Arsenal at home and then Man United at home. But given the squad at Manicni’s disposal, you’d expect them to win one of those games. · Liverpool consistently inconsistent: Liverpool’s record after European games isn’t great. The key issue is the high number of draws, which is one of the differences from them being a top 6 side. However, what is interesting is that Liverpool kept 4 clean sheets, which is the highest (alongside Chelsea). In some respects, this shows progress is being made at Anfield, but clearly, more work needs to be done to sustain and build on it. · Newcastle shipping goals: Newcastle conceded 20 goals, which is an incredibly high number for a side playing in Europe and for me it symbolises their immense decline this season. Last season, Newcastle were far more solid and settled side defensively. Perhaps the club have missed Steven Taylor and Fabricio Coloccini who have missed parts of the season for one reason or another. · Newcastle actually doing rather well…: Although Newcastle are conceding a hell of a lot of goals, they are actually winning fair number of games too. It’s intriguing; there was strong criticism that the lack of depth effected Newcastle’s campaign this season. Although this may well be a valid point, one may need to take it with a pinch of salt. As Newcastle won 5 games from 13, this shows the club has the ability to win games even when playing on a Thursday and then on a Sunday. But it is crucial to note, all 5 of Newcastle’s wins came at home. It’s been a while! Due to university dominating my life, I haven’t been able to write any more woeful articles, but now, Uni is finished, I’m looking for a job and I have more time on my hand, so I’m back! Anyway, so as the title quite clearly suggests, this article is about Martin Skrtel. Now, Big Martin Skrtel is an intriguing case. Last season, he was the main man for Liverpool. He was voted the clubs player of the year last season and his form earned him a new deal. The Slovakian international was also linked heavily with the likes of Man City too. But fast forward a year, Martin Skrtel’s stock has fallen dramatically. He has gone from being a certain starter for Liverpool to being a mere squad player and arguably a liability for the reds. But why has Martin Skrtel fallen so fast? Or has his decline been something which has been overstated by fans or the media? Let’s have a look at his stats. Ok, so, looking at the stats, it is quite clear, Martin Skrtel’s defensive stats have dramatically decreased this season. It is most concerning for Liverpool that the crucial defensive stats such as the ground win percentage, aerial win percentage and the defensive errors are far worse this season. But why is this the case? Why has Liverpool’s most consistent player of last season, had his form shattered this season? There are a number of theories behind the reason why, the likes of the guys at the Anfield Wrap and Chris Machin of The Red Men TV suggest that the constant tweaking of managers and playing styles has effected Skrtel’s confidence and has therefore unsettled him. This is a credible theory, over the past four seasons, Martin Skrtel has played in Rafa Benitez’ pragmatic defensive setup, then the season after, Skrtel was in a more rigid Hodgson system. While under Dalglish, things changed again. However, the most contrasting change in styles occurred this season. Liverpool under Brendan Rodgers have become a far more attacking side. Rodgers’ more flexible, attacking Liverpool, is a system where both full backs bomb on forward and arguably, less players are given defensive discipline. This could have had an effect on Skrtel’s game. Prior to this season, he was often given much more protection and as a unit the reds looked far more stable. This could be why Martin Skrtel has struggled this season. He is now playing in a system which demands far more from him as an individual, while he gets less protection from his team mates. Perhaps this makes sense, think about it, often this season, many teams have found space between the Liverpool midfield and defence lines. The consequence of this is that Skrtel and his centre back partners have more players to track from various scenarios in play. Whether it would be for example central attacks or attacks from out-wide. But is it all down to Martin Skrtel or Brendan Rodgers’ system? I think it’s a mix. Some argue it also comes down to personality. Rodgers has suggested on a number of occasions that the reason Jamie Carragher is in the side, is due to his marshalling and leadership skills. And the reality is some defenders thrive in the responsibility of having to defend in systems which leave them more exposed to attacking threats. So I think the decline of Skrtel is due to him not being suited to the Rodgers demands of play. As last season demonstrated, if Liverpool were better structured defensively, and Skrtel was given more protection by the midfield, his quality would shine through. One major criticism of Skrtel has been his performances verses the bigger, more imposing strikers. Rodgers infamously suggested that Skrtel and Liverpool made the Oldham’s No. 9 Matt Smith look like Didier Drogba and the reality is, Liverpool and Skrtel did. However, I think Skrtel’s performances against the more physical strikers has always been something of a concern. Last season, in the FA Cup Final, Martin Skrtel was bullied by Didier Drogba. Drogba won most of the aerial duals and dominated the space and exploited him time after time. But this season, due to Skrtel being less confident and uncomfortable, these showings against the bigger strikers have stood out even more. One looks at his performances versus Villa and Southampton, against Benteke and Lambert, he struggled incredibly. As I’ve mentioned before, Skrtel is finding himself more exposed in this defensive setup, so his protection against these bigger more aggressive target men is much more limited. This means he is often left to sink. But there have been times, where he needs to help himself more, sometimes, the likes of Benteke and Lambert have bounced off Skrtel. But as the summer arrives and the imminent departure of Jamie Carragher looming, where do Liverpool go from here? Where does Martin Skrtel go from here? 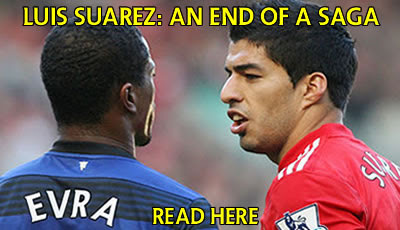 Should Liverpool keep him? 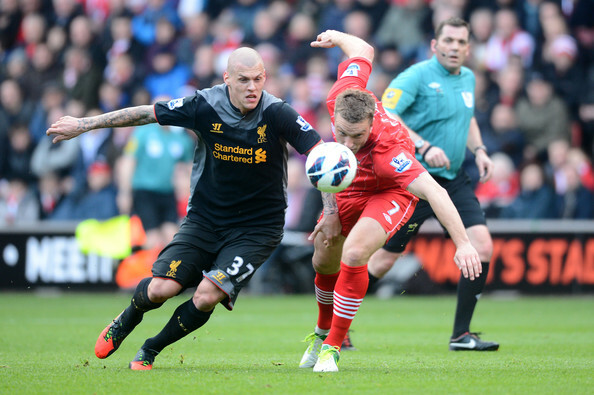 Should Skrtel look for a move? For me, Liverpool should sell. The player does not look comfortable in Rodgers’ system. What really concerns me about Martin Skrtel is how uncomfortable he looks in the Liverpool setup. As the stats clearly suggest his awkwardness in the system has affected his defensive contribution. When one looks at Martin Skrtel on the ball, he appears to lack the composure, the comfort and the ease of mind to play it out from the back in a concentrated fashion. And the worst thing is, I don’t think Skrtel himself believes that he can comfortably pass it out from the back and be someone who can retain the ball, dribble past the striker to create space and have more options to pass to. Martin Skrtel’s decline has been staggering. I don’t think many would have expected him to be behind Jamie Carragher at the start of this season. It is clear, Skrtel is yet more proof that even defenders can struggle to adapt to particular systems. It’s unfair to label Martin Skrtel a poor defender. The reality is, he is a good defender, in the right system. Sktrel demonstrates how Liverpool are still in transition, there are still players in the side who don’t fit the Rodgers demands of playing. Martin Skrtel’s confidence has been knocked due to being dropped and this has not been helped by him being incompatible to Rodgers style of play. So, I’m doing a little review on the iPod, iPhone and iPad compatible free app called The Football Playbook: Tactical Puzzles by Super Rock Games. Firstly, let’s go over the idea of the app. The whole point of the game is for the player (you) to unpick the tactical conundrum and crucially score goals. Initially, when I first played the game, it was quite challenging, but with a bit of trial and error and going over the tutorial, I got the jist of it. And the game is quite a lot of fun, especially when you solve the puzzle, you do feel like you’re a bit special. So that’s good. This game is perfect for football fans who love a tactical challenge. I would also recommend the game to more general football fans too. It’s free and that, so it’s worth a check. However, this is version 1.0 of the game and there is considerable amount of room for improvement. Sometimes, the game can crash a tad too easily and you can lose your progress. While, as I stated before, the game is quite hard to get into. But I am sure with the next few updates the game will be at its optimum. The Premier League: The easiest Top Division to Score in? So, I was thinking about the past last week (I know, it’s what keeps us Liverpool fans going, especially after defeats). I was thinking in particular about Fernando Torres in his debut season for Liverpool (07/08). I remember the Premier League and Liverpool fans raving about him getting 24 goals in his debut season and it was very impressive. But then I looked at the Premier League leading goal scorers this season and there’s a great deal of players, with about 9 games to go who are already on double figures for league goals this season and it made me think there will be one or two more who will join Luis Suarez with more than 20 Premier League goals this term. I then had a look in Italy, Spain and Germany’s top leagues to see how many of their players are into double figures this season and this is what I found. As you can see, there are a lot more players in the Premier League who are on double figures in comparison to their counterparts in the other top European leagues. Let’s have a good look, in the Premier League, there are 19 players with 10 or more goals. While in Serie A there is 12, in La Liga there is 13 and in the Bundesliga there is 11. It’s a staggering difference. But why is this the case? Could it be down to the players in England being far more clinical? Possibly, but I don’t buy it, the Premier League lads with 10 or more goals have the joint second highest average shot accuracy, behind Serie A. If it was down to better finishing, surely the more accurate Serie A players would be on double figures? The Premier league also has the second highest amount of average shots per game (3.12). In terms of chance conversion, England have the worst out of the leagues analysed (21.31%). So if the Premier League strikers were overall better finishers, surely they would have a better chance conversion rate? Another theory which I was considering was could it be down to the decline in quality of defending in the Premier League? Let’s look at the facts, the average Premier League team has conceded 41.85 goals this season, which is the worst out of the 4 leagues analysed. This clearly suggests the Premier League teams are struggling to keep a sturdy defence, but it’s all well and good saying that, but why? Is it down to woeful keeping or shoddy defending? Again, it’s hard to directly point the finger on one particular reason, after all each player and club is different. But a point a few intelligent people have suggested to me on Twitter, on the reason why more players in the Premier League getting into double figures is due to the growth of the versatile attacker. The type of attacker who can play anywhere across the attacking line, they can play in-between the lines and can crucially create in these positions. The result of this means defenders have to be more intelligent and more aware of the space in front and in and around their zone. I think surge of agile, versatile and two –footed geniuses are having an effect on how teams defend in the Premier League. Perhaps there is a lack of understanding of how to deal with these types of players, after all when players like David Silva, Juan Mata, Cazorla and Suarez are given space between the lines, they can not only create for themselves, they can also create space and freedom for their team mates too. But I don’t think the poor defences and poor keeping is the outright reason why players in England are getting more joy. A part of me feels it is due to the lack of structure in Premier League playing style nowadays. Although far more teams are more comfortable on the ball, perhaps this has come at a cost, as in order to be a progressive passing team it is dependent on two things, 1.) the pass and 2.) the movement of the player who wants to receive the ball. But the problem can occur when the team without the ball press high and aggressively and the pass does not go from A to player B and because player B is now slightly out of position there is more room in the transition phase for the attacker to run into the space or pass into that space for someone to run onto. So in other words, I think Premier League teams are poor at defending transition phases meaning incredibly intelligent players can pick up and exploit these gaps in the opposition. When watching the Premier League, you can sometimes feel the unbalanced nature of it. You have these outstanding attackers who are waiting for these transition phases to be able to get the ball and dictate the game. While on the other hand, you have the defensive unit of the team, defending a transition and unlike the attackers they are not as confident or come into their own during this period. Too often in the Premier League especially during transitions you can see defensive players finding themselves out of position, or find themselves giving an opposition player incredible amount of space and time. When collecting the stats for this article, a number of interesting facts hit me, so here are some of my observations from the stats. Sign him up! Frank Lampard: He maybe old, but he certainly still knows where the goal is. Lampard at 34 years of age has 12 Premier League goals, with 4 coming from penalties. But what I find just as impressive as his goals tally is his chance conversion (31.60%), which is the best out of the Premier League players selected. This shows, although Lampard is getting on in terms of age, his eye for goal still remains deadly. Steven Fletcher, he scores when he wants: Out of all the players analysed, in Germany, Spain, Italy and of course England, Fletcher has the 6th best average shot accuracy (67%). Furthermore, the Scottish international has one of the better chance conversion rates too in the Premier League, I get the feeling, if Sunderland created more chances for him, he would definitely get more goals. His statistics suggest he is an instinctual finisher, it will be interesting to see how he does next season, if he manages a similar goal tally as this season, I can see a bigger clubs seriously taking a look at him. Robert Lewandowski shows why he’s one of Europe’s most wanted strikers: Lewandowski has an outstanding 62% shot accuracy and a very credible 28% chance conversion rate this season. The stats reinforce the argument that the Polish international is a very efficient and intelligent finisher. Mario Mandzukic, what a good addition he’s been to Bayern: Mandzukic has proved he is more than good enough to challenge Mario Gomez for the central striking role at Bayern. The new Bayern signing has the second highest chance conversion rate out of the Bundesliga players analysed. It will be interesting to see how Pep Guardiola utilises him, but I fancy him to be a key player under the Spaniard. Klose, he knows where that goal is: Now, most of us remember Klose from the World Cups, where he virtually is in a league of his own. But even in club football his finishing prowess is very impressive. The German has the best chance conversion rate out of the players analysed, 37% which is a mightily remarkable figure, one which probably has Serie A defenders incredibly wary. You give him one chance, he will punish you.